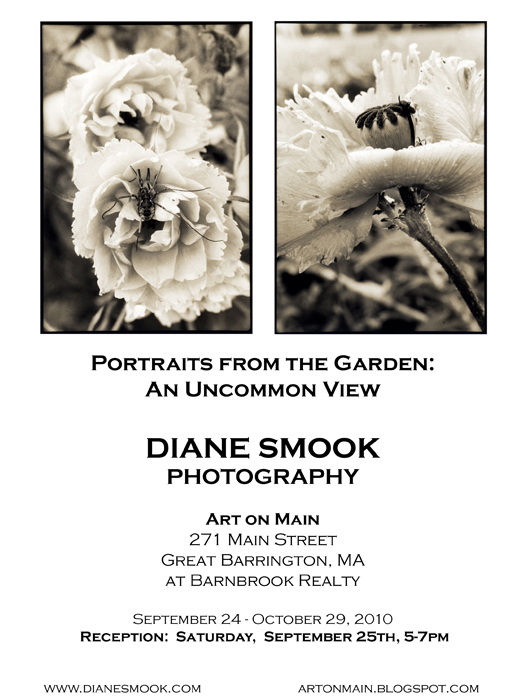 I am so pleased to to have the opportunity of exhibiting my sepia portfolio, Portraits from the Garden: An Uncommon View, at Art on Main in Great Barrington from September 24 through October 29. I printed these images in my darkroom, toning them a rich, warm sepia. It is a project dear to my heart, shot in my own garden over a period of several years. The gallery is a beautiful space within Barnbrook Realty on Main Street right in the center of town, and the curator is Peggy Reeves, whose blog is artonmain.blogspot.com. The opening will be festive and I invite anyone in the area with an interest in photography to join us! Uptown Loop on the Bus What a Rainbow!